Layer up, fill the thermos with hot cocoa and figure out the nighttime photo option on your phone. It's time for the light-covered convoys of many colors to come rolling through Humboldt. Is this the year you blow the kids' minds by taking them to all three free events? Grinch, it might be. 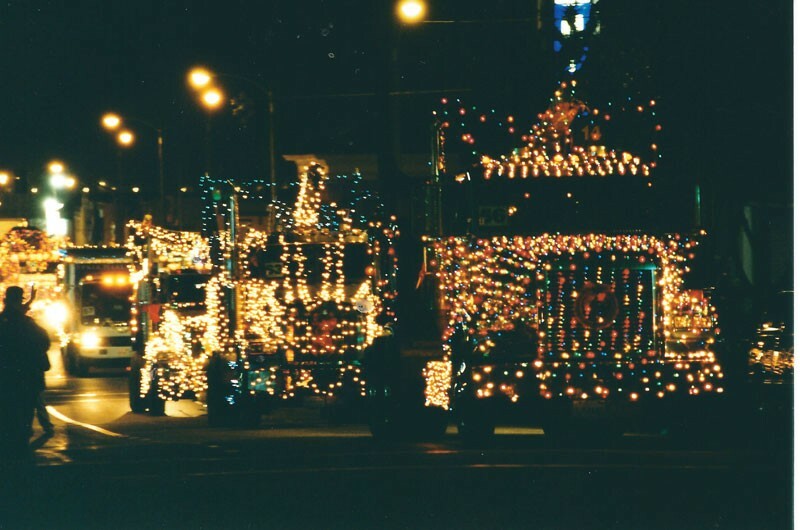 Warm up your engines in Fortuna on Friday, Dec. 11 at 6:30 p.m., when the Electric Lighted Truck Parade takes off from the Redwood Village Shopping Center. You'll want to scout out a spot along Main Street early like the pros with folding chairs and lap blankets. Eureka is next with its Trucker's Christmas Parade on Saturday, Dec. 12, leaving from Redwood Acres at 6 p.m. Bring warm gloves and wave like mad at all the folks along for the ride, because you are not too cool for this and Santa is watching. Top off the electric weekend with the farmer-powered Lighted Tractor Parade down Ferndale's Main Street on Sunday, Dec. 13 at 6 p.m. The Deeres and Caterpillars cruise downtown with as much sparkle as those 18-wheelers, so don't miss the heavy machinery light show.